This document summarises key aspects of the Special Report on Global Warming of 1.5°C (SR1.5) published by the IPCC (2018). 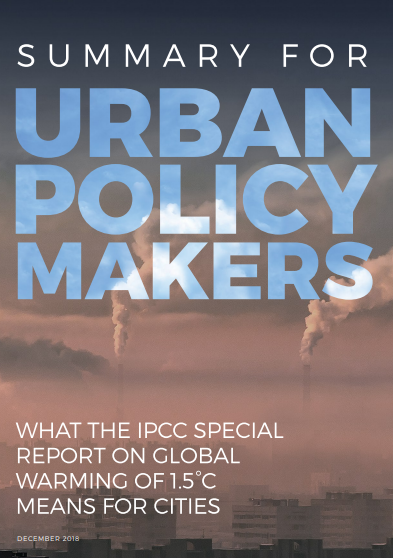 The Report covers the impacts of global warming of 1.5°C above pre-industrial levels and related global greenhouse gas emission pathways. This review provides a comprehensive assessment of the actions Australian councils and communities are taking to tackle climate change, along with the barriers and challenges they face. In this urban era, cities are centres of opportunity and prosperity. They are where innovation sparks and takes root. We need to harness this energy to reorient and rebalance the patterns of daily life, the built environment and the natural systems in and around cities across the world. 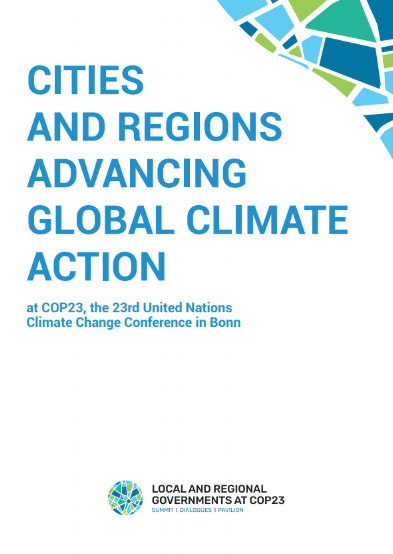 This publications offers a snapshot of the motivation and approach behind the Cities and Regions Talanoa Dialogues launched by ICLEI. Honiara faces a myriad of resilience challenges. Not only is the city already exposed to multiple natural hazards, but a changing climate will amplify many of the adverse impacts into the future. This publication details new projects funded by the APN in 2014 under its Climate Adaptation Framework. These focused activities tackle the links between climate change adaptation (CCA) and disaster risk reduction (DRR) in the context of loss and damage (L&D).